The LeMond Revmaster Sport is a spin bike designed to be used in the home or for light commercial use. It comes with a heavy flywheel, steel frame, kevlar belt drive, strengthened crank, fully adjustable seat and handlebars which certainly is the basis of a very good spin bike for the home. Priced at around $1000 (depending on deals) it is described as LeMond’s most affordable model. causing other issues – some of these being noise, space restrictions, how easy it is to move, does it make too much dust, and how does it look to name a few. In our review we look over and above the primary workout question – because that is the number 1 reason – to be able to get a workout in the comfort of your own home at the intensity and duration you want. The bikes steel X-frame design and 23 inch cross arms (stabilizers) provide a strong and stable ride with no shaking or moving whether you are in or out of the saddle or transitioning between. This leaves you to just focus on your workout as you won’t be distracted by any movement or concern of falling off the bike. The crank features a custom built BMX bottom bracket and cranks to withstand greater loads and thereby increase its longevity and durability no matter how high you set the resistance and push it hard with your legs. The adjustment poles, used to vary the height of the seat and saddle have a unique design v-clamp and rotated tube prevent the seat and handlebars from moving around or shaking at any level of intensity. The 41 lbs flywheel has been balanced well to provide a natural fluid pedaling motion so there are no dead spots which makes it easy on the joints as well as ride that is more like riding an outdoor bike. You should also feel you are in the right gear and not feel as if the bike is getting away from you. Although not perimeter weighted like the Spinner NXT beginners should not find any up and down movement that you get with lighter flywheels that can be hard on the joints. Under the front and rear stabilizer bars are leveling feet for stopping the bike from rocking if being used on an uneven floor. You simply turn them until the bike no longer rocks from side to side. User experience indicates it is a durable bike that can take many years of use and still provides a smooth and stable riding experience. The warranty is 5 years on the frame and cranks, moving parts (includes cranks) 3 years, bearings 3 years, pedals 1 year, wear and tear items 1 year, accessories 6 months and labor 1 year. The range of heights it can be adjusted to be sized properly for is 4 ft 10 to 6 ft 6 inches. This makes it possible for the bike to fit most adults in any household. That, along with it being easy to adjust means it is a piece of cardio equipment to everyone can use. Once you’ve set it up the first time it will take less than a minute to get it to fit you again if it has been adjusted since you last used it. The saddle and handlebars can be adjusted horizontally and vertically. It is micro-adjustable so you can put the seat and handlebars in the exact position you want it and not be restricted to pre-set holes which sometimes means you can’t quite get the bike adjusted to fit you. This level of adjustment will make for a more comfortable and efficient workout. It also helps to decrease the risk of overuse injuries. To effect the adjustment you loosen the adjustment levers then slide the adjustment poles into place and finally tighten in place. The adjustment poles and slider are marked so you can quickly get it to where you’d set the bike or alternatively you can mark the positions with a felt tip. Resistance for tougher hill type workouts is provided by a friction resistance pad that sits on top of the flywheel. The amount of resistance is adjusted by turning the tension knob that is just below the handlebars. You can adjust to any amount of resistance you want. It is incremental and continuous from easy to very difficult to turn the pedals. You don’t go from easy to difficult in one small adjustment so you have plenty of scope to go up or down in the increments you want. As with other spin bikes using friction for resistance you do not have the level of resistance marked which makes it difficult to return to a previous level of resistance. The only spin bikes that do have resistance levels marked are those with magnetic resistance like the Keiser M3 Plus (but it does cost up to $700 more) and you are restricted to the levels set. The advantages of magnetic resistance is that it is silent and it doesn’t wear away so there is no dust and doesn’t need replacing. There is a fender that sits over the resistance pad that protects the pad and flywheel from sweat dropping on to them which is very corrosive. This gives a longer life to the pads and flywheel too. The pads will wear down from use and depending on how much resistance you apply and how long and often you use the bike will determine when they need replacing. For most usage you should get at least 12 months usage. The pads can be bought direct from the supplier. The >Lemond Revmaster Sports has kevlar belt which is an automotive strength belt that is hard wearing and will give many years of cycling workouts before it stretches. It provides a smooth riding experience which may feel a little strange compared to riding an outdoor bike that has a bike chain. It is quiet so you won’t disturb anyone in your house and should even be able to use it in the middle of the night when others are asleep. It also should be fine to use in an apartment as it is unlikely that your neighbors will hear and an exercise mat will help too in that regard if using on a hard floor when jumping in and out of the saddle. The pedals are toe clips with adjustable straps that you slide in your athletic shoes then tighten the straps to give you a good grip on the pedal when pushing and pulling through the cycling motion. It is possible to get dual sided pedals for the bike but they cost an additional $99. You can also change the pedals to clipless or other if you want as it fits standard bike thread pedals of any sort. Noise. This is a quiet bike with a belt drive that is almost silent and a friction resistance pad that you may hear a shushing sound as the flywheel pushes against it. You won’t be disturbed by the noise and nor should anyone else in the home. If you have young kids you’ll have no problem getting a workout in when they are asleep if you can make the time. Your hard breathing is likely to be the only sound heard. Dirt. The bike is fairly clean but will give off some dust and a little lubricant. You or others that use the bike may drop sweat on to it and on to the floor. There is a little cleaning needed of the bike to keep it looking good and in top shape to remove sweat and any dust that may accumulate. Also to protect the floor from these things you may want to use a rubber exercise mat. Handlebars. You can use them for multiple hand positions for spinning and bike training and have a slight angle upwards and bend in them to make gripping them more comfortable. They have been coated to make it easier to grip when hands get sweaty and to prevent blisters. However, you may find that your arms get sore if you are leaning on them in the aero position as they are not padded. Seat. The saddle is oversized and designed to provide proper support for all people. You may find it comfortable but not necessarily. It is a bike seat and these can be uncomfortable as it is a personal preference as to what is comfortable especially when new to cycling of any form or when you ride for extended periods. If that is you it is possible to try padded bike shorts or gel cover seat or you can always replace the seat for a bike seat more to your liking as it take standard bike fitting seats. To store the bike when not in use you need a space of 23 inches by 42 inches making it suitable for most homes even smaller ones including apartments. The bike does weigh 110 lbs but the transport wheels on the front stabilizer wheels support most of this weight when wanting to move it. They are freewheeling and will work well on most floor type as they are exposed so the carpet pile is unlikely tot get stuck in them. You do need to tip the bike on to the transport wheels but that isn’t too hard as the weight due to flywheel being so close to them. You are left to just wheel and move the bike in place. 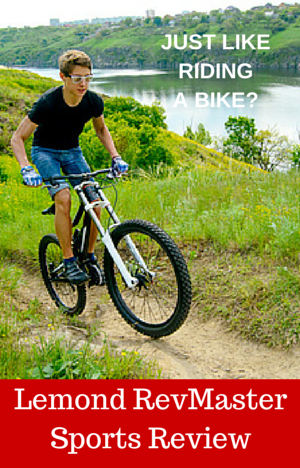 A little care is needed just to ensure you or the bike doesn’t overbalance. Be careful on wooden floors as the wheels may dent or scratch – so do check first before moving it all over the floor. The bike comes most assembled – with the flywheel, crank, frame and belt drive all put together. You are required to add the stabilizer bars, adjustment poles, handlebars, saddle, pedals and water bottle holder. The tools required to complete the assembly are included. The instructions are clear. The whole process from start to finish is straightforward and can be done in less than an hour. The hardest part of the assembly process is the weight of the bike. The shipping weight is 133 lbs and assembled weight is 110 lbs. Therefore you may need someone to help with moving the carton to where you want to assemble it and also hold it in place while you add the stabilizer bars as a minimum. If you want to change the tilt or direction of the saddle you need an open end wrench to do this and that doesn’t come with the bike. There is no console with this bike, and the LeMond Pilot (needs to be bought separately) doesn’t fit the bike. It is common for spin bikes not to be supplied with a console with many people preferring to workout with music or a DVD to keep their work rate up but it does make it difficult to monitor and track performance over time. If you want a console you can buy bike computers from Cateye that can be made to fit spin bikes, but the magnet that goes on the spokes does need to be modified to fit on the flywheel. The Ironman X-Class which has a similar price point includes a console that measures heart rate, RPM, distance, calories and speed. It only accommodates people between the heights of 5 ft and 6 ft 4 inches but it has a maximum user weight of 300 lbs. It also comes with dual pedals. The bike doesn’t come with much in the way of accessories which is standard for spin bikes. The only accessory is a water bottle holder at the front of the handlebars. You slide the bottle in and out as needed. It is positioned out of the way of most of your sweat so won’t get wet and slip out of your grip or be gross to pick up. Also you won’t need to check your workout to get a drink. You can buy dual sided pedals for the bike that cost $99 when you buy them with the bike. Unlike other exercise bike types, spin bikes or indoor cycles are designed to be simple so there is less to go wrong but also you can then just focus on getting a workout as intense as you want. The operator manual comes with detailed instructions on how to set the bike up to be used for the first time in getting the proper fit. There are some general guidelines on exercise but if you are a beginner you are going to want more than that and the best place for that is to search YouTube or to buy a workout on a DVD. Customer reviews are very positive for the bike, with one exception and that appears to be due to the customer not realizing the model he was buying rather than a comment on the bike he bought. For the rest of the reviews, they like how quiet the bike is, the ability to adjust it to fit many sizes and it is durable. There aren’t any issues mentioned not even about the seat. The bike is priced at over $1000 . For this you get a bike that has been made to high specification for light commercial use but there is little in the way of accessories. Amazon can have a good deal on this bike and it did when I checked but this does change. It qualified for free shipping too. For beginners the bike may be more than they are willing to pay especially if they are unsure how often they’ll use it. If you are beginner check out our best bikes for beginners that are more affordably priced for that reason. It is a stylish bike so can be placed anywhere in your home and won’t be seen as an eyesore. It is very well constructed to provide a stable ride at any intensity. Its’ durability will give many years of use no matter how hard you push it. The pedaling motion is fluid and natural like riding a bike – there are no deadspots or the feeling that you are in the wrong gear. The only issue I have with the bike is that it doesn’t have a console included which at this price I’d like to see, but not everyone want one of them, and many spin bikes don’t include them as standard. It can be used for all levels or spinners and people wanting to do indoor cycle training from beginners to the most experienced. can you provide exact Cateye computer model and how to modify magnet for Sport revmaster. Thank you. To modify it requires getting the sensor close enough to wheel to sense the magnet. As to the model it depends on what you want to record but people have successfully added the Cateye Strada Cadence Computer to their indoor cycles and spin bikes.